Triple mirror hours are sequences of repetitive numbers like 13:33. You may come across them often but perhaps you have never tried to find out what they mean. In fact, there is a message behind these mirror hours and they serve no purpose unless we consider the messages they carry. We should note that numbers are one of the languages of the universe and it uses them every day and throughout its creation. The universe has a direct connection to our soul via the law of attraction and it shows us numbers to pass on information, to tell us where we should be in our lives, to assure us of whether we are doing well or if we are on the right path, and also to tell us if we are sending out negative vibrations or are failing to listen to advice. If you have come across the triple mirror hour 13:33 regularly, do not wait too long before finding out what it means. It hides an important message which is intended just for you. The universe hasn’t sent you this hour as a sign for nothing so to find out what this hour means you should put your trust in an interpretation of the guardian angels and an analysis of numerology. Hahahel is the angel of faith. By showing you the triple mirror hour 13:33 regularly he is showing that there are things he wants to tell you. This angel wants you to know that he will give you an ardent faith which will direct your life towards spirituality and religion. He wants to plant the seeds within you which will lead you towards an impressive career in the field of religion while also inspiring you to speak about spirituality. 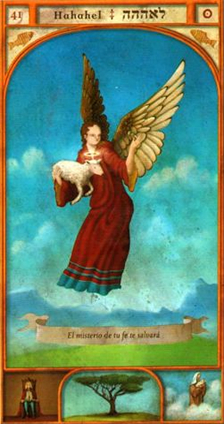 This guardian angel is your patron and protector and is also telling you that you have great leadership potential. You always know how to demonstrate courage and you have the ability to devote your efforts towards helping others. You know how to give without expecting anything in return. Under the detached, depersonalized, and discrete influence of Hahahel you will have the ability to make sacrifices. Thanks to him you will have the mind of a visionary, someone who knows what has to be done and when. Through the triple mirror hour 13:33 Hahahel is also telling you that can give you skills in meditation while also taking the steps to give you a peaceful and more fulfilled life. He will help you to understand the meaning of life and your reason for being on this Earth. You do not have to worry because he will light your way and his divine light will guide you. The guardian angel Hahahel is also letting you know that he will free you from suffering, martyrdom, sorrow, torment, and much more. He will also protect you from all potential failures in your endeavors. As testament to your faith he will bring you salvation, liberation, and purification. Through the triple mirror hour 13:33 the angel is also reminding you that he will protect you from inflexibility, inquisition, religious wrongdoing, and all those opposed to spirituality. He will also protect you from aggression, arrogance, and all kinds of hoaxes. If you are feeling lonely, rejected, or lost, he will help you by getting rid of any materialistic thoughts from your mind. What does 13:33 mean in Numerology? In angelic numerology the number 46, via the triple mirror hour 13:33, is telling you that you should expect many changes in your life, especially on the emotional level. Be vigilant because you may go through difficult periods in your life which could lead to a kind of imbalance or to poor decisions or frustration. The number 46 also asks you to learn how to handle your emotions better, to conquer your inner struggles, and to demonstrate adaptability to make it through the dark times. Once you have found perfect harmony your life will become better in every respect: socially, professionally, within your family, and most of all on the emotional level. 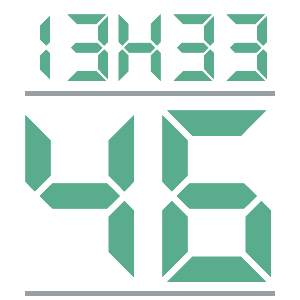 When the number 46 is in connection with the triple mirror hour 13:33 it also heralds professional success so long as you are determined, have a strong will, and are highly persistent. You no longer have to fear the future because this number indicates that your guardian angel is always at your side to help and support you even in the most trying of times. In numerology the number 46 is also letting you know that you are a generous, kind, and friendly person. You are always concerned about the happiness of those around you. These qualities bring you happiness as well and you should keep it that way. In any case, being a good person will allow you to find the success that you have been waiting for for so long. The angel number 46 also indicates that you have all the skills necessary to succeed. On top of your leadership abilities you also have great listening skills and a strong ability to cooperate with others. You are able to plant ideas of the highest caliber and allow them to blossom. 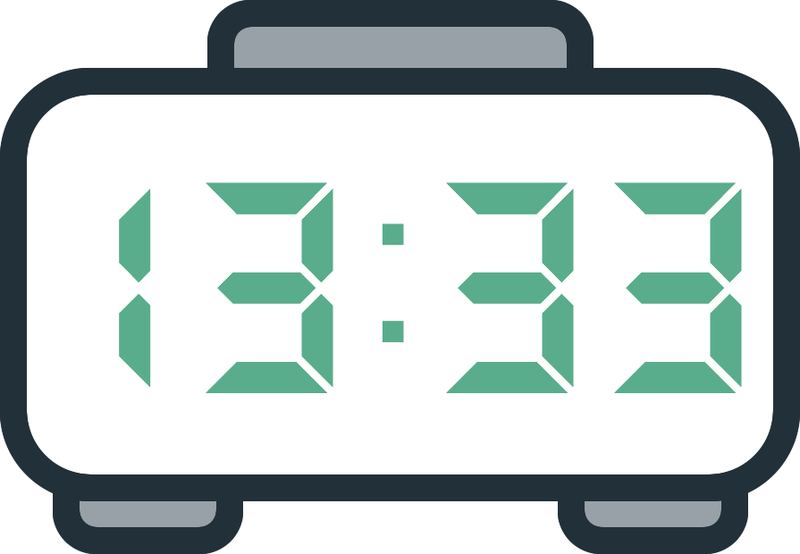 Any comment on the 13:33 mirror hour?